The asking price of just 20 BTC translates to a whole lot more in USD. 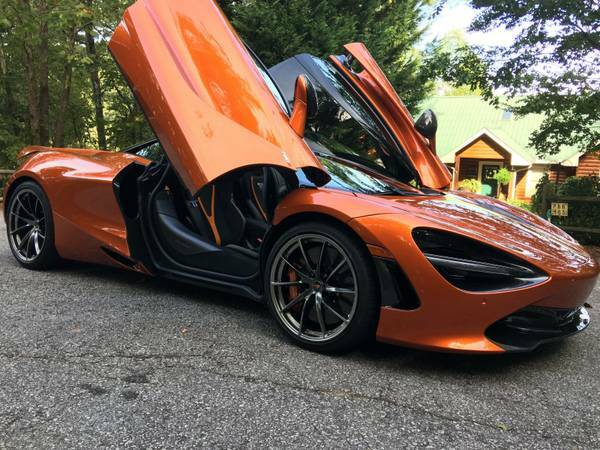 This Atlanta area Craigslist ad includes two of the craziest spectacles to come out of 2017—the McLaren 720S and Bitcoin. According to the classified, this seller is looking to unload their highly-optioned Macca with just 750 miles in exchange for a hefty bit of coin (sorry) before many orders have been filled for the British supercar. With an asking price of 20 BTC, the current exchange rate means that this super's official going price lands at exactly $392,999.90 USD. 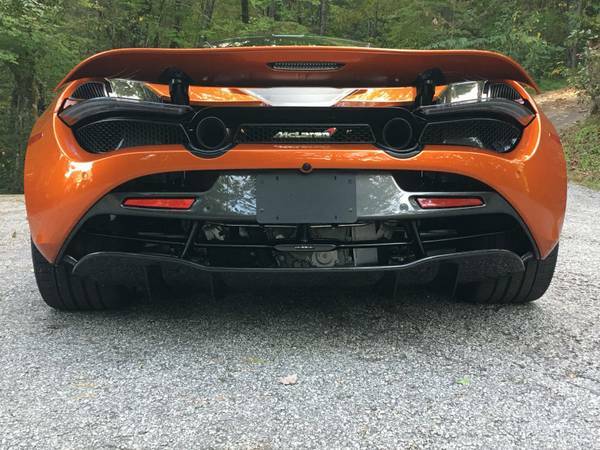 The seller names off a healthy list of options equipped to the 720S in order to justify the bump over its base price of $285K. The 710-horsepower, 4.0-liter V-8 is, of course, the star of the show and breathes out via the optional sports exhaust. This aptly matches the rest of the performance trim including 10-spoke lightweight wheels, McLaren track telemetry, and various bits of exposed carbon fiber throughout. The ad also makes it clear that the only accepted form of payment will be Bitcoin. A minimum deposit of .0001 BTC will be required to confirm a public meeting with the car, and from there on out, shipping can also be arranged upon purchase for a "nominal amount." According to the listing, the asking price has dropped from 30 BTC, or $589,499.85 USD. The ever-changing value of the cryptocurrency has brought about some shifts on the market, but this example seems to have gained a lot from the money's fluidity. A Chinese investor recently made a similar purchase with Bitcoin's little brother, Litecoin. According to a report from Bitcoin.com, he purchased $5.3 million USD worth of exclusive F1 cars from the last ten years, cashing in on favorable exchange rates. They make the allusion to someone who apparently paid 10,000 BTC for a pizza back in 2010, and looking back, that is an extremely unfair trade. In today's money, that equals $196,499,950.00 USD—so, in the end, this McLaren really is a steal in comparison. Bitcoin ballers buying Lambos is lame, how about buying fleets of F1 cars with Litecoin? There's a reason police cars need to be pursuit rated. A few words from Bruce McLaren brought this bespoke supercar to life. There's a new king of the drag strip in town.